Recognition of graphics is made at two levels: syntactic and semantic. Machines are already functioning at the syntactic level quite satisfactorily, but at the semantic level they still lack the intelligence and cognition humans apply while interpreting graphic symbols. Understanding and communicating the structure and behavior of complex systems through a graphic representation is effective only if it constitutes a visual formalism that assigns a definite semantics to each symbol. Object-Process Methodology (OPM) is a graphics-based visual formalism that has been applied to analyze and design systems in a variety of domains. 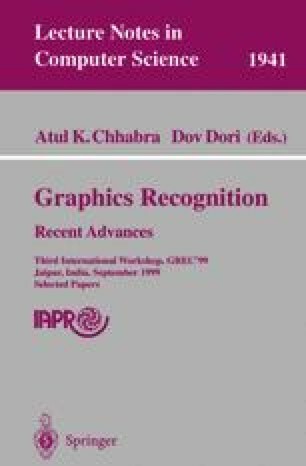 Through a set of Object-Process Diagrams (OPDs) we specify a generic graphics recognition subsystem that is integrated into a Document Analysis System. Beside the direct value of the OPD representation, this model serves as an instance of the way OPM can be used as a concise graphic representation that unifies the structure and behavior of complex systems in general and graphics recognition systems in particular.